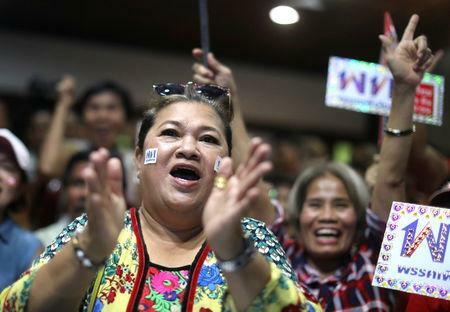 BANGKOK (Reuters) - A pro-military party was leading in Thailand's first election since a 2014 coup, with the unofficial result delayed until Monday afternoon likely to indicate whether junta chief Prayuth Chan-ocha can gain enough seats to remain prime minister. 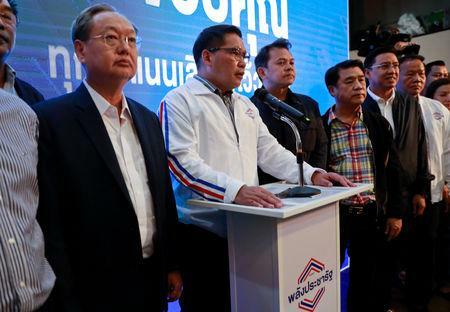 Another 150 "party seats" will be allocated under a complex formula that favors smaller parties and is based on the total number of votes cast. 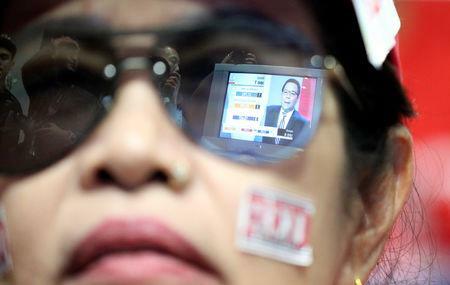 Thailand has been racked for the past 15 years by crippling street protests both by Thaksin's opponents and supporters that destabilized governments and hamstrung business.